For available self storage units in Appleton, click here. What type of storage do we offer? Highway 41 right in the Heart of the Valley. 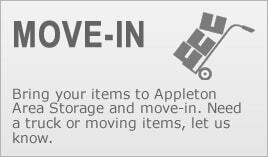 Welcome to Appleton Area Storage! 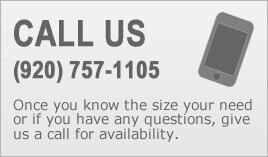 Appleton Area Storage can take care of all of your storage needs. 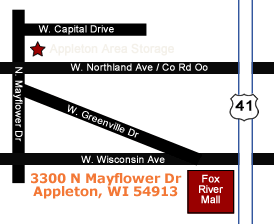 Whether you’re moving and can’t move into your new home right away, or you’ve just outgrown your home or business storage requirements, you will find that Appleton Area Storage is your answer for quality and secure self storage. Storage Units vs. Storage Sheds? People like to have a lot of stuff. When you need more room for your growing pile of possessions, some extra storage space will be necessary. You drive past self storage facility every day, but you’ve likely also seen Storage Sheds for sale also, it pays to consider the benefits and drawbacks of each option before committing. Use the following criteria to determine if a storage shed or a storage unit is a better fit for your needs. If you opt for a storage shed, you’ll have to pay for the construction of it, or the cost to purchase one and have it installed. To build a shed, you might spend between $1000 to $5000. The average cost to rent a storage unit is $85.00 a month so to store your stuff in a storage unit for 10 months at an average cost of $1020.00. 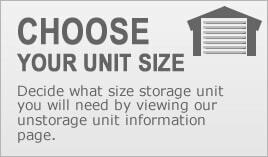 Cost varies by the square foot size of your storage unit. That being said you can rent a storage unit for 5 or more years without a huge outlay of money. If you need to store your belongings for less than a year, it will be more cost effective to look into renting a storage unit. For long-term needs, such as bikes or a ladder you will regularly use during the coming years, a shed might be the smarter choice but only if you are going to stay in that home for years. 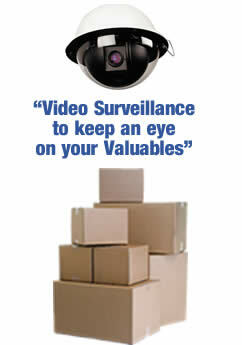 Storage units usually offer security via surveillance cameras, someone else watching the surveillance, time that you save. If you put a shed on your property, you’ll want to add a lock to it as well. You could also include the shed in your home security system for an extra layer of protection. Before renting a storage unit, ask to see the surveillance setup to make sure you are comfortable with the level of security available. With a storage shed in your own backyard, you’ll only need to walk a few steps to get items when you need them. This makes it “perfect for sports equipment, garden tools or holiday decor. On the other hand, maintaining an outdoor shed on your property requires work. You might need to give it a fresh coat of paint, make small repairs, or give it an in-depth cleaning. Traveling to a storage facility will involve more time. Storage units are routinely sprayed for bugs, eliminating the reason to fear that bugs many contaminate your belongings. For sheds in a pest-prone area, you might have to bring in a professional service to keep bugs away. If larger critters come into the shed, they could damage the building, boxes, or the materials stored inside. When creating a minimal look in your home, or sorting through memorabilia, it can be helpful to designate a specific spot for items. With a storage unit you’ll be able to move the items out of your home, but still hang on to them. You might decide to look them over every year to see if you want to get rid of some pieces. It may reduce stress to get furniture off of your property altogether. A storage unit might be is the perfect temporary solution to a life transition such as moving or renovating. After careful consideration of each of the criteria above, you should have a good idea which option is best suited for your needs. Everyone has a different opinion on what is convenient, so be sure to take the time to think it through. Whatever you ultimately decide, your storage solution is close at hand.